You have to take care of your hardware otherwise you might heat up the CPU to death. There are various methods you can follow each of them. If you have seen some gamers or geeks around you would find they(we) keep the cabinet opened. So more heat will dissipate from the hardware. 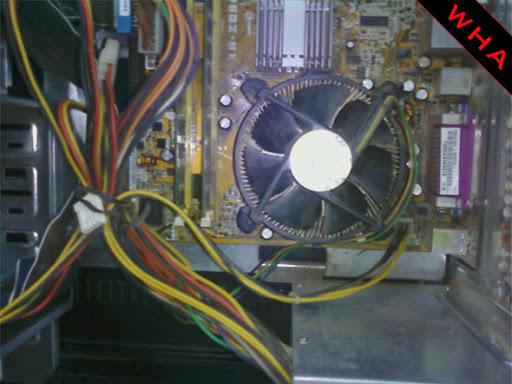 It is observed that about 10-degree centigrade reduction of CPU is possible by opening the cabinet. But this is not advised if you have kids in the home, who can accidentally touch the running components. The heat sinks are usually made of Copper & Aluminum together due to their high thermal conductivity. Sinks need to be cleaned quite often to keep up the heat dissipation power of them. Dust has insulating property. 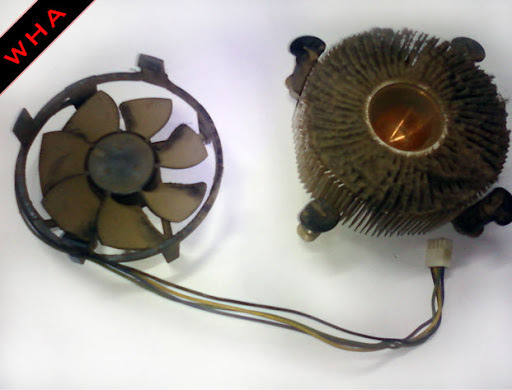 The bundled fan & heatsink with PC, Mac, CPU, PS3, PS2, XBox or other devices are not so powerful. They are tested in the cool environment and not for heavy tasks. If you can invest in an expensive fan & heatsink like water cooled or nitrogen cooled sinks or other liquid coolers, then go for it. Also, make sure of their size, so they easily fit on the motherboard with other hardware. If you can't afford to buy a powerful fan, you can also use an external table fan to cool the system. Reducing the number of cycles of the processor may reduce the heating of CPU but will also result in the reduction of performance. This may be done as temporarily only. 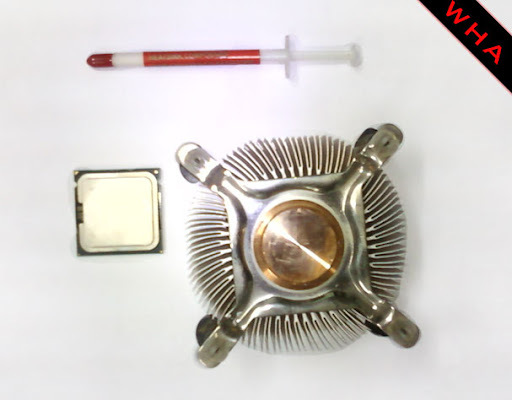 Thermal grease also called as thermal compound, thermal gel, thermal paste, sink compound, thermal processor paste etc, is a compound containing metal/conducting particles used to increase the contact between CPU & Heatsink. This compound is highly conducting. Actually, Thermal Grease is used because the surfaces of CPU and Heatsink are not smooth and there remains air packet in between them. Which result in very high thermal resistance. By applying the thermal compound properly you can overcome the problem of thermal resistance and double up the heat dissipation power of the sink. We will now discuss this in detail. Which thermal compound should I buy? There are various Thermal Compounds available in the market but Arctic Silver Thermal Compound is best for both Intel & AMD processors. We recommend you to use Silver Arctic Thermal Grease only. 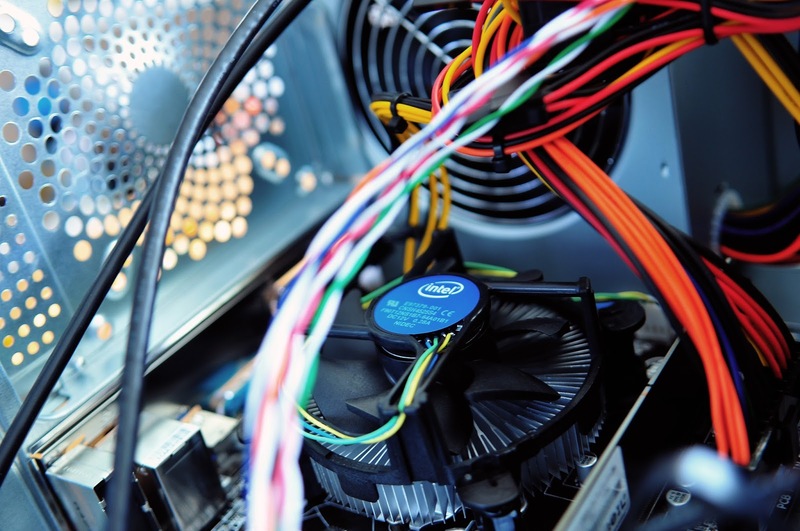 These components can be bought from your local computer hardware vendors or Amazon. Before we start I advice you to use anti-static hand strips to avoid any damage to hardware components from the body static charges (optional). Follow these steps carefully and at any point you find difficulty feel free to comment here. 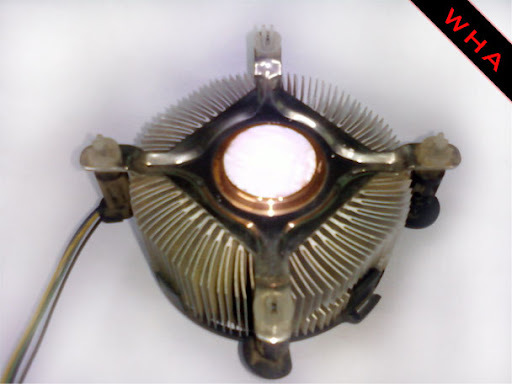 1) Detach the power cable of the fan and then the heat sink from the motherboard carefully by turning the 4 keys. 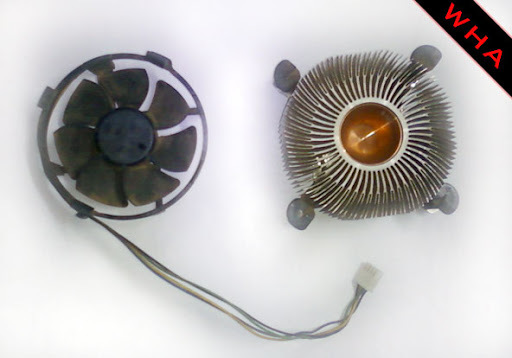 2) If you haven't cleaned the fan and heat sink for a long time, it would look dustier than mine shown in the photo above. 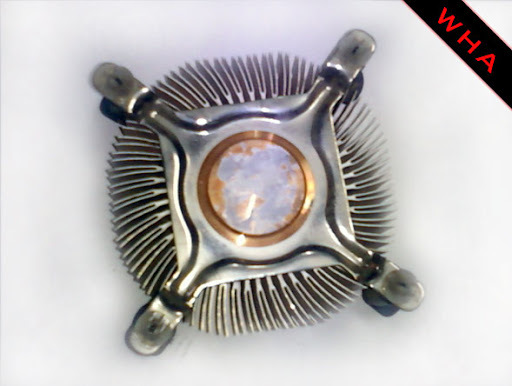 You can also detach the fan from heat sink further on and wash it thoroughly. 3) Now remove the CPU from the socket carefully. 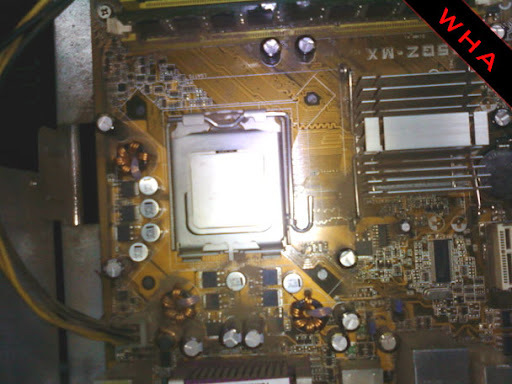 You would find the previously applied thermal compound hardened on both heat sink and the Processor. This must be removed and cleaned properly. Here you have to use any soft cloth and 90% cleaning alcohol to remove the thermal compound. Make sure no dirt is remained. Don't apply too much pressure on the CPU, or you harm it. 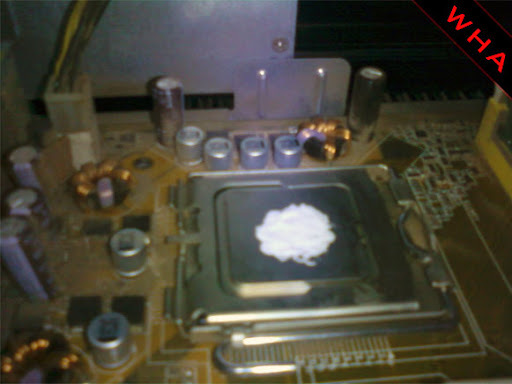 4) After cleaning take the Thermal Compound and open the seal, apply on top of the heat sink. Use a razor blade or a piece of plastic to evenly spread the gel on the surface. Make sure it doesn't get out of the boundary or will short circuit the hardware. 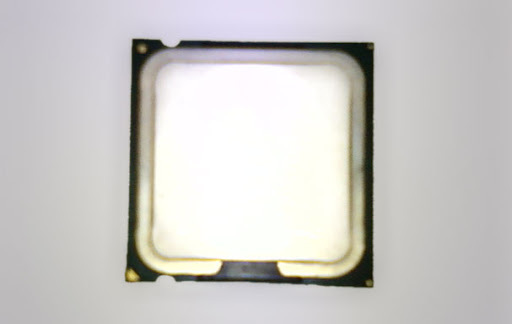 5) Now put the CPU on the socket (before applying) and apply some thermal paste in the centre. Do not apply too much of the thermal paste. Applying too much thermal paste may cause the paste to spread out of the CPU, into the motherboard. Which can cause a short circuit and permanent damage to the device? 6) White the compound is fresh, install the heatsink & fan on the CPU so the paste gets set properly. Connect the power cable and start the computer. 7) To test the current temperature you may either use one of many software available or directly from BIOS (Basic I/O System). To check the correct temperature from BIOS, first, run some applications you normally use then restart your computer and enter in BIOS. Now you can see that the temperature has halved than the previous overheating temperature. Now if this is the perfect season (winter) and thermal compound applied, overclock the system. What do you say? Did it reduce your CPU temperature? Is there any point you would like to add? Then please comment below.